It's hard to argue that those with a creative streak benefit from arts education, but there's an increasing argument in favour of exposing everyone to art, design and creative processes, regardless of their ability or career aspirations. Being informed about how and why all the things that surround us are the way they are, and being able to apply creative thinking to a myriad of tasks is of benefit to everyone, and two organisations are working hard to expose young Irish people to design, architecture and plain old creativity. 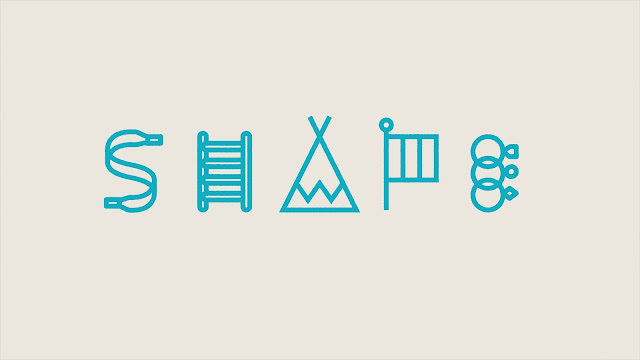 MakeShapeChange is a project by Pivot Dublin which teaches young people about what design is and does. Combining Pivot Dublin's ambition to communicate what design does to a wider audience with just some of Ireland's great animation talent, MakeShapeChange consists of a short animated film called Shape, a website featuring information on design and an education programme in nine Dublin schools, piloting this winter. 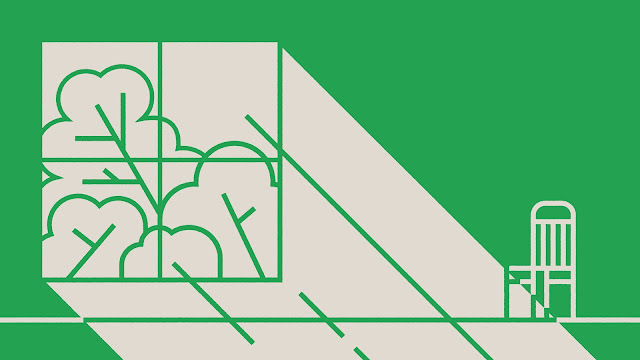 Working with Junior Achievement Ireland, the Pivot team is currently devising learning materials and practical activities to be delivered both at primary and secondary schools by volunteer designers from a range of disciplines (who they are currently recruiting). 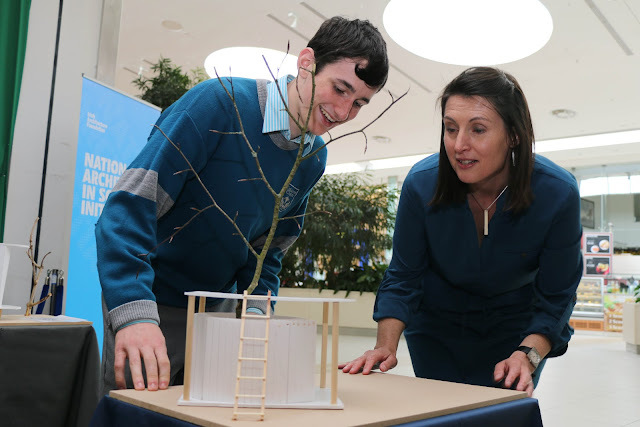 Meanwhile, the Irish Architecture Foundation (IAF) began delivering a two-year National Architects in Schools Initiative in April of this year, pairing architects with Transition Year groups in 25 schools across the country. Training and resourcing both architects and teachers through the national network of Teachers' Education Centres, Architects in Schools has allowed students to explore their local areas, design hypothetical spaces and even present ideas on spaces in their schools to classmates and staff. 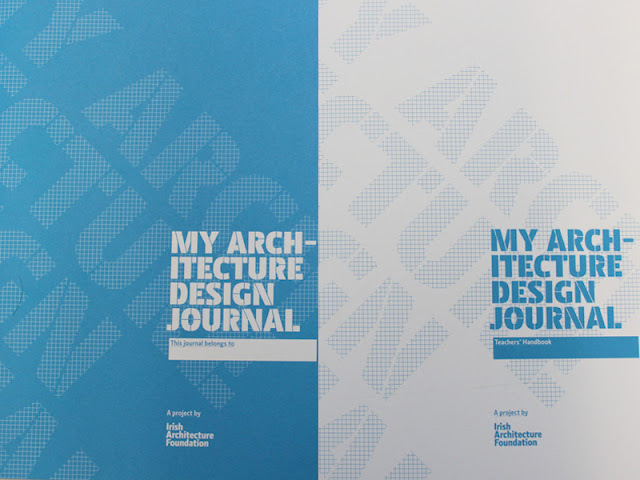 Some classes have been working closely with the IAF's specially-developed student and teacher resource, My Architecture Design Journal (pictured top), while other schools have developed unique programmes of tours, workshops and design briefs. Just some examples of inventive projects are students at Crana College in Buncrana making great use of social media to share their progress on work with architect Michael Galbraith and Coláiste Choilm in Cork (collaborating with architect Séan Antóin Ó Muirí), who exhibited 25 models of bespoke spaces in Ballincollig Shopping Centre (student Colm Dwane's model is pictured above). Students of Gairmscoil Éinne, Árainn, explored how young people make their voices heard about the spaces they use by creating sound pieces with architects Jo Anne Butler and Tara Kennedy. Initiatives such as these may well inspire a new generation of artists, designers and architects, but that is beside the point. An appreciation and understanding of the objects we use everyday and the spaces we inhabit is of benefit to everyone, as is knowing that you can express opinions on these things and apply your creativity to whatever task is at hand. These are the reasons why creative education is important, at any age.